The Union Cabinet chaired by Prime Minister, Narendra Modi has signed Memorandum of Understanding (MoUs) in February with various countries in the field of Housing, Youth Affairs and earth sciences. Union Cabinet headed by Prime Minister, Narendra Modi approved MoU between India and Indonesia on combating illicit trafficking on narcotic drugs, psychotropic substances and its precursors. The MoU will help both the countries in mutual cooperation in regulation of narcotic drugs and psychotropic substances and also in combating drug trafficking. Union Cabinet was Cabinet apprised about the MoU signed between India and Morocco for cooperation on youth matters. The MoU will strengthen and encourage cooperation between the two countries on youth matters. MoU signed between India and Morocco to promote exchange of information and technical cooperation in the field of Housing and Human Settlement. The Memorandum of Understanding signed between India and Argentina in February 2019 on Antarctic Cooperation to help Scientific Cooperation on projects in the field of Earth Sciences. It will also help in the protection and conservation of Antarctica and Southern Oceans. MOU signed between India and Saudi Arabia for cooperation in the field of Housing.It will promote technical cooperation between both the countries including affordable / low income housing and will also enhance participation of authorities and companies in the housing and infrastructure projects. Union Cabinet has given ex-post facto approval for the MoU signed in February between India and Republic of Korea on Startup Cooperation. It will facilitate and promote bilateral cooperation between the startups of both countries. The Union cabinet also approved acquiring land of Central Water Commission at Nallagandla, Hyderabad by Telangana State Government for road widening. 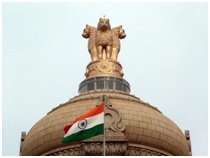 Creation of additional posts of three Judicial Members and three Technical Members in the National Company Law Appellate Tribunal (NCLAT). 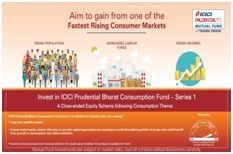 ICICI Prudential Mutual Fund launched ICICI Prudential Bharat Consumption Scheme, which will remain open for subscription until April 9. The scheme aims to benefit from the Indian consumption story, considered as one of the fastest growing consumption markets globally. The benchmark for the Scheme is Nifty India Consumption Index and will be managed by Rajat Chandak and Dharmesh Kakkad. The overseas investments of the scheme will be managed by Priyanka Khandelwal. The group organises the Turing Award each year, often referred to as the ‘Nobel prize for computing’ and have named the 2018 recipients as Yoshua Bengio, Geoffrey Hinton, and Yann LeCun who will share the $1m prize. The trio is known as ‘godfathers of AI’. They are known for laying the foundations for the current boom in artificial intelligence. LeCun currently the vice-president and chief AI scientist for Facebook, while Hinton is a vice-president and an engineering fellow at Google. Meanwhile, Bengio is a professor at the University of Montreal and scientific director at Mila, Quebec’s AI institute. Working independently and together, Hinton, LeCun and Bengio developed conceptual foundations for the field and demonstrated the practical advantages of deep neural networks which have since led to breakthroughs in fields such as computer vision, speech recognition, natural language processing and robotics. The MoU will pave the way for cooperation in research and development, capacity building, health services, pharmaceutical trade and manufacturing capabilities for drugs and diagnostics. The Basketball Federation of India appoints Veselin Matic as the new head coach of the Indian men’s basketball team. Zoran Visic, who was earlier in charge of both the men’s and women’s national sides will continue with the women’s team after the recruitment of Visic took over the men’s side for the FIBA World Cup and the Asian qualifiers after taking over following a poor run during the Commonwealth Games in 2018. Defence Research and Development Organisation, DRDO successfully conducted an Anti-Satellite (A-SAT) missile test, under Mission Shakti from Dr A P J Abdul Kalam Island in Odisha. A DRDO-developed Ballistic Missile, Defence Interceptor Missile successfully engaged an Indian orbiting target satellite in Low Earth Orbit (LEO) in a Hit to Kill mode. With this achievement, India has now become the only fourth nation after US, Russia and China to have such capability. Social-networking site Facebook launched two new India-specific tools ‘Candidate Connect’ and ‘Share You Voted’ to boost civic engagement on its platform during the general elections that commence in April. While ‘Candidate Connect’ will help people learn more about candidates, the ‘Share You Voted’ will provide people with polling information and enable them to announce and celebrate their vote. The Program aims at imparting basic knowledge on space technology, space science and space applications to young school goers with the intent of arousing their interest in the emerging areas of space activities. 3 students from each State or Union Territory will be selected to participate in this programme covering CBSE, ICSE and State syllabus. The selection of the students would be based on their performance in the 8th Standard, which includes both academic and extracurricular activities. The agreement was signed by PC Mody, Chairman, Central Board of Direct Taxes (CBDT), and Kenneth I Juster, US Ambassador to India. Infosys and Roland-Garros Grand Slam tennis tournament, also called the French Open, announced a three-year strategic technology partnership. The famous Indian author of bestselling books, Chetan Bhagat, has announced his latest non-fiction book titled‘India Positive’ which is set to release on 1st May 2019. He revealed the cover and title of the book in a Facebook Live video where he was joined by all his fans on the social platform. It is a non-fiction book comprises essays on a variety of subjects such as education, employment, GST, corruption and casteism. India had a successful start to the 12th Asian Airgun Championship in Taoyuan, Taipei with two gold medals. India won both 10m air pistol mixed team gold in both juniors and seniors. National champion Esha Singh and Vijayveer Sidhu won the gold in juniors. Ashita has been the recipient of several awards including the prestigious Padmarajan Award – Thathagatha (2000), Lalithambika Antharjanam Award (1994) and Edaserri Award (1986). As many as twenty books including poems, translations and children’s literature were published on Ashita’s name. Some of her noted works include ‘Apoorna Viramangal, ‘Vismaya Chhihnangal and Ashithayude Kathakal. Songwriter and producer Scott Walker, the powerful pop singer turned avant-garde adventurist who influenced singers like David Bowie and Thom Yorke, has died at age 76. He was popularly known for the hit song‘The Sun Ain’t Gonna Shine Anymore’.